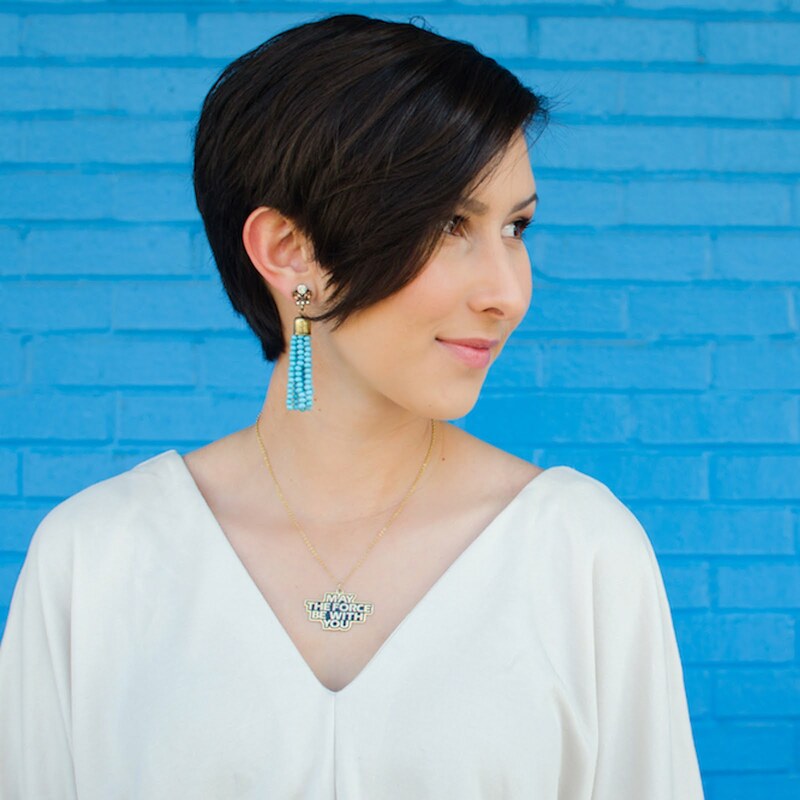 After many weeks of planning and collaborating with Jenmarie from Anakin and His Angel, I am thrilled to share my take on our very first Style Wars face-off. 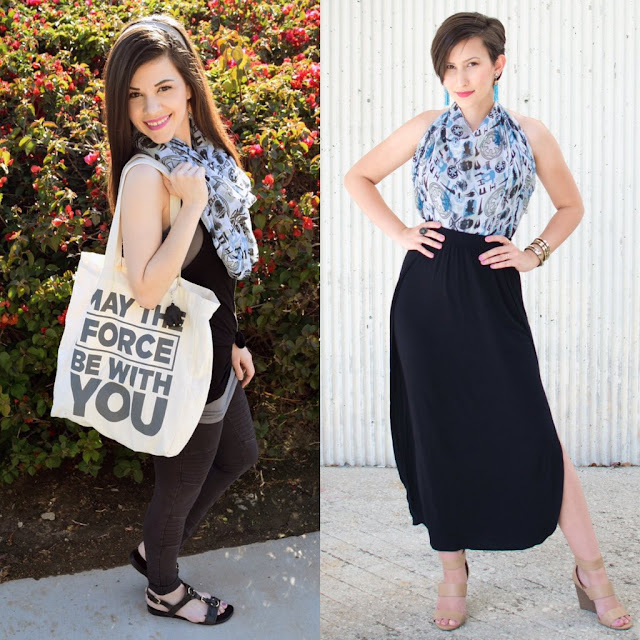 To kick off the new series, we decided to choose a Rogue One themed scarf from Hot Topic to style in our own way. Since spring is always mixed with chilly and warm days, we thought it would be great to style a light scarf that could be worn throughout the season. 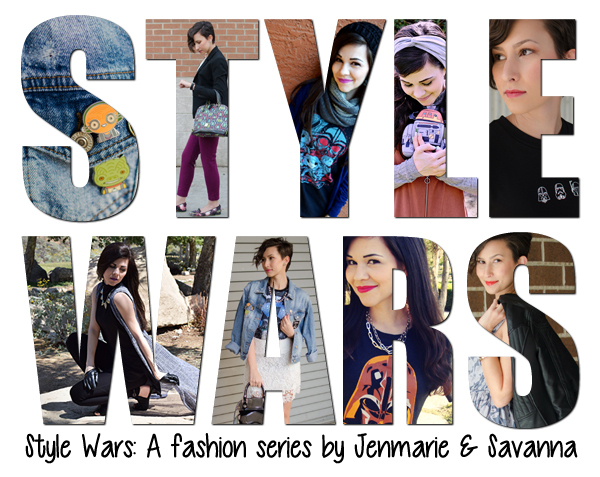 Style Wars is an original quarterly series that is a combination of both Jenmarie and Savanna's two favorite passions - Star Wars and fashion. Together they will be styling Star Wars outfits based off of the same fashion piece. Their mission for this fashion series is to show off how different fangirls envision outfitting Star Wars clothes in their own unique way. 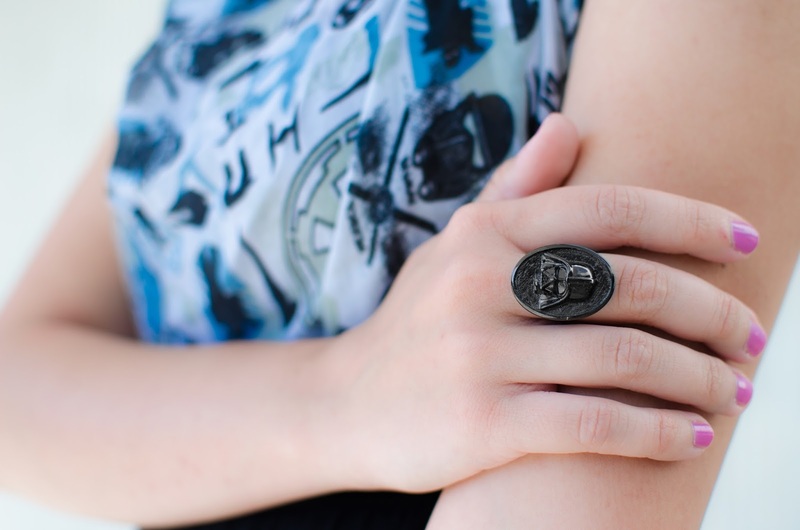 Instead of comparing who wore it best, they want to celebrate the different ways Star Wars pieces can be worn. Here's where the fun begins! 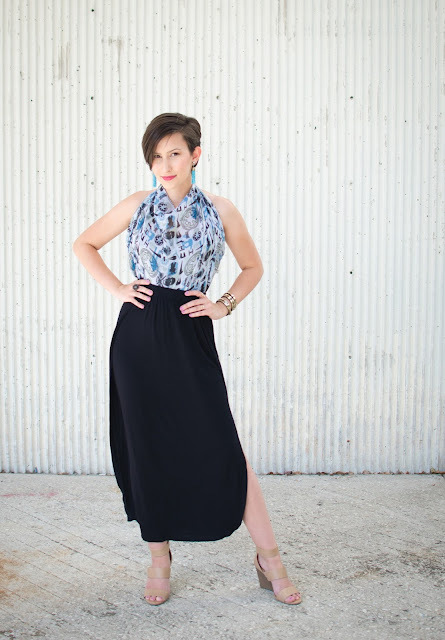 When putting together my outfit, I pushed myself to think outside the box and come up with a way to wear the scarf that didn't involve it being a traditional scarf. After playing with some different ways to tie it, I decided that it would be a perfect halter top! Since this is an infinity scarf, I worn it in a loop around my body and then pulled up the front part and tied it around my neck. Light and cozy! 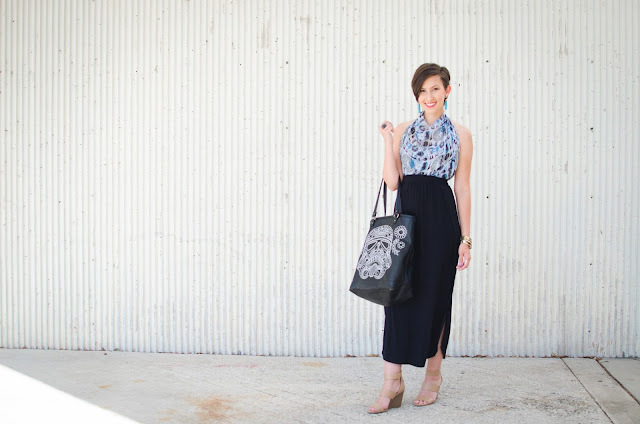 I tucked it into my favorite maxi skirt and paired it with some Star Wars jewelry including a Darth Vader ring from Her Universe and wrap bracelet from Love and Madness. One of my favorite bags is the sugar skull Stormtrooper tote from Loungefly and I think it went well with the overall look. You can find Jenmarie's take on the Scarif Scarf by clicking HERE. I absolutely love how she wore it! Her look is perfect for any on-the-go occasion, especially because she has the coolest tote bag. 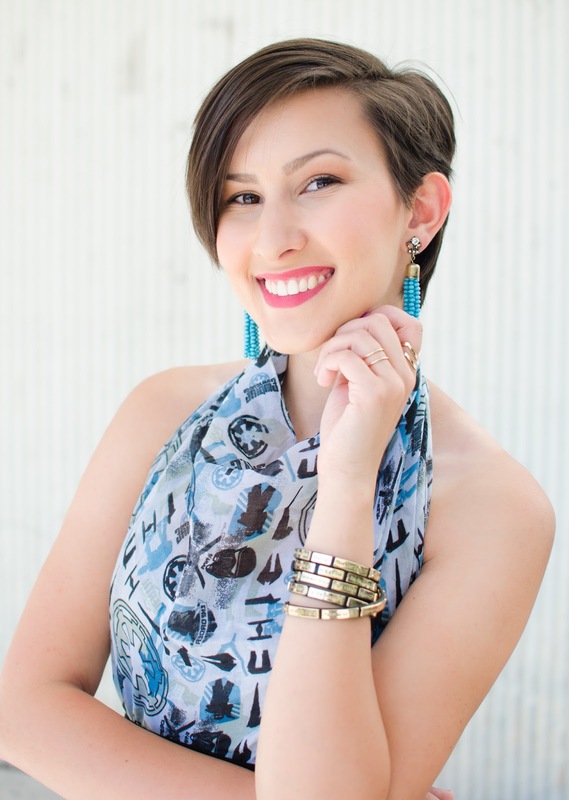 I hope you like the way I styled this scarf and enjoy Jenmarie's styling! What are the different ways you wear scarves in the spring? Pretty awesome! I need a step by step how to on how to do this! 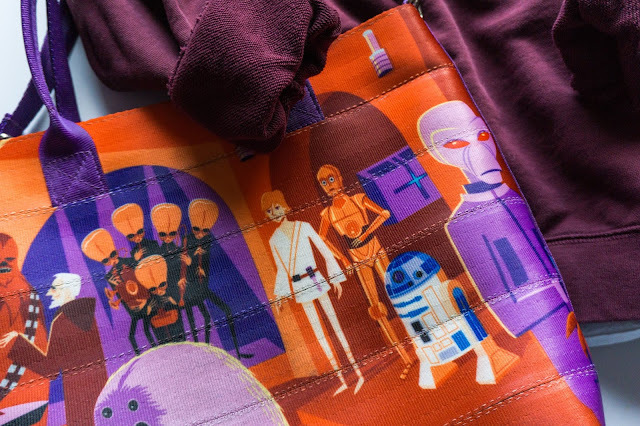 I have a bb8 scarf that would be perfect for this but I don't know how to do it! I am always ready to write a review of Writemypaper4me on style issues. 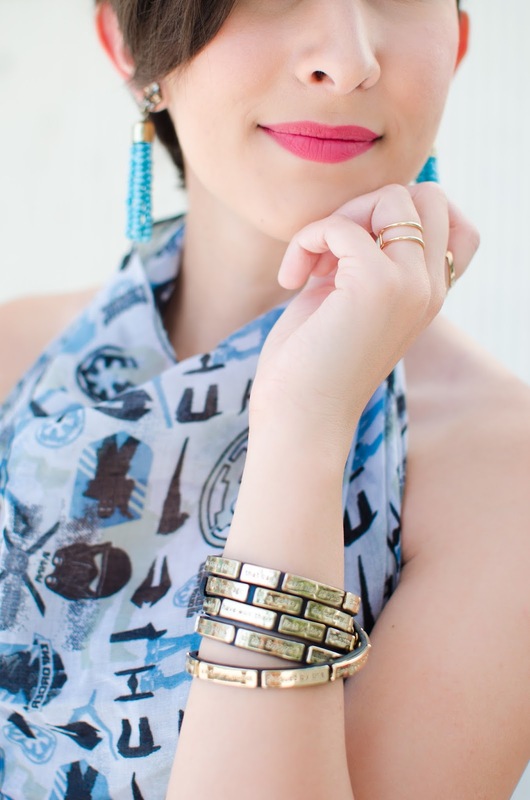 Scarves are my favourite styling details and colour accents in the outfit.